The performer fans a deck of cards which are all blank. Spectator merely thinks of a card. Performer removes the thought of card, which is naturally again a blank card. 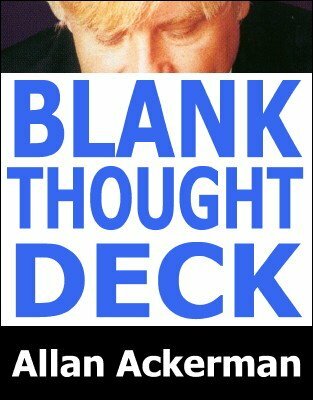 Magically the blank card turns into the thought of card and as a climax the whole blank deck turns into a regular deck.